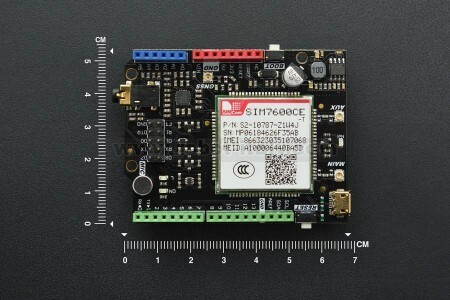 SIM7600CE-T 4G(LTE) Shield is a 4G/3G/2G communication and GNSS positioning module. 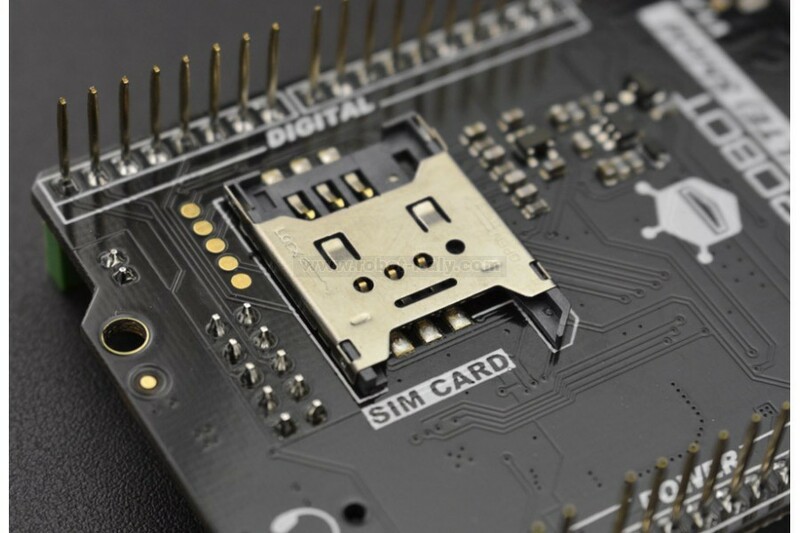 This shield is as small as a credit card and compatible with controller boards like Arduino UNO, arduino Leonardo, arduino Megaetc. The frequency bands that SIM7600CE-T 4G(LTE) Shield supports are LTE-TDD/ LTE-FDD/HSPA+/TD-SCDMA/EVDO and GSM/GPRS/EDGE. It also supports LTE-CAT4(with uplink rate 50 Mbps and downlink rate 150 Mbps). With stable performance, this small cost-effective expansion shield can realize SMS and data transmission in a pretty low power consumption. Besides, it adopts the latest SIM7600CE module. 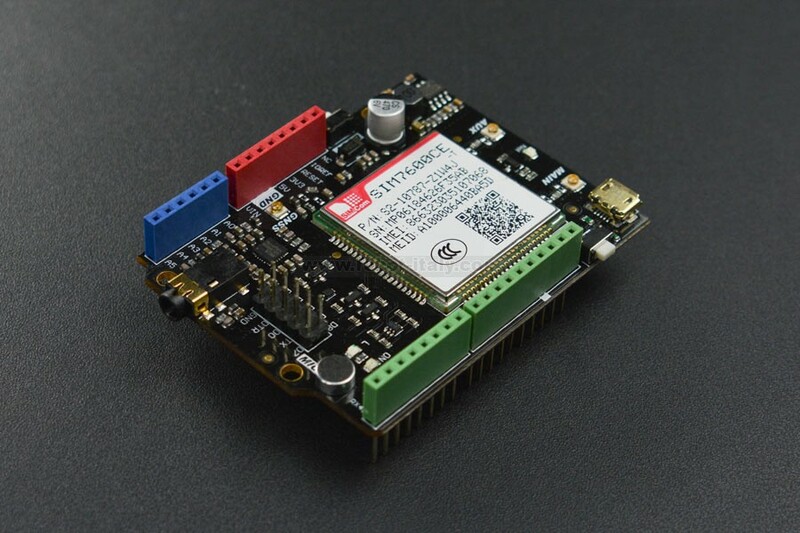 Compared with other GSM/GPRS/GPS modules on the market, this module is well advanced in stable performance and powerful function such as 4G communication and accurate GNSS positioning.